None of our decals are home made, ALPS or Laser decals unless very clearly stated in the description. Kit and Decal Packages Available! 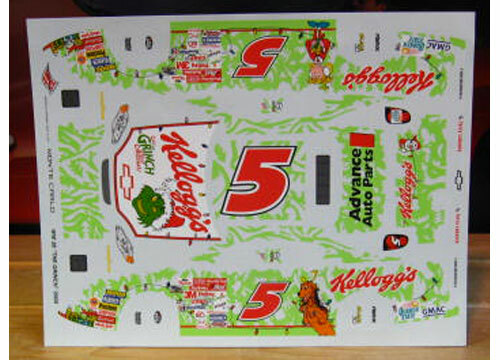 Selected decals can now be added to Nascar kits and donor kits to create a discount package. Interested in a kit/decal package but can't find it? If a discount is available I will create one for you! Contact me for more info. We are adding new products on a daily basis so please visit often. At Mike's we have 1,000's of decals in stock and we buy collections on a regular basis so our stock changes often. If there's something you're looking for please contact us and we will do our best to find it for you!